Firstly, let me tell you that if your Google Adsense earning shows minus(Negative Balance), do not worry, it is not YOUR wrong. Adsense is the famous advertisement platform from Google for publisher such as admin masters of many websites, to make money online. Today, when I login my Adsense account, I am astonished to see that my Google Adsense Earning shows minus(Negative Balance)! I want to know why why why??? So, I try to know why, and I find that if your Adsense earning shows minus such as $-1, do not be worried, because that you are not alone, there are many people have this problem. 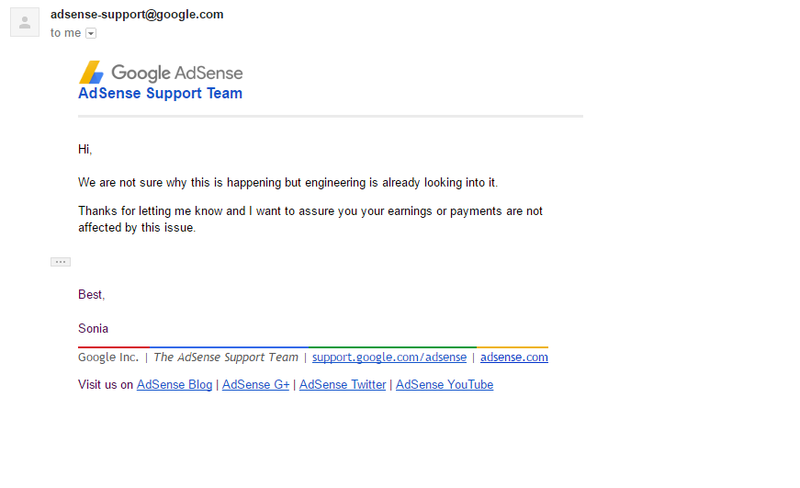 You will find the answer by googling "adsense earning minus", so it is ok, do not worry about it, google just want to do something. Or, it is a bug, see Google's official answer from this and this. 2016-09-07, one Indian blogger said "the situation has returned to be normal, current balance and last payment are not showing minus sign"